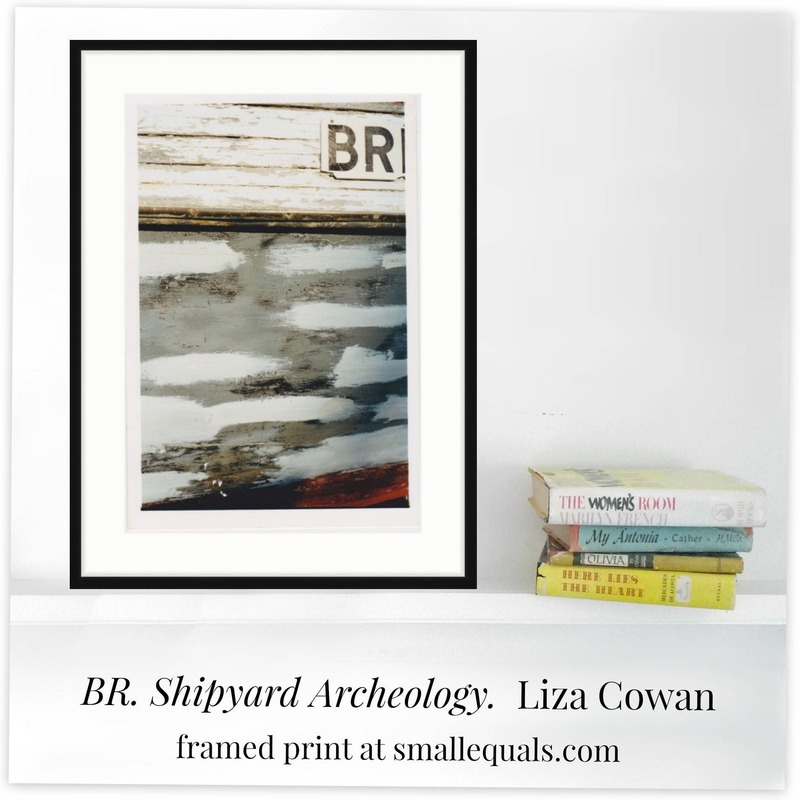 Abstract photo from Greenport NY Shipyards, by Liza Cowan 1999. 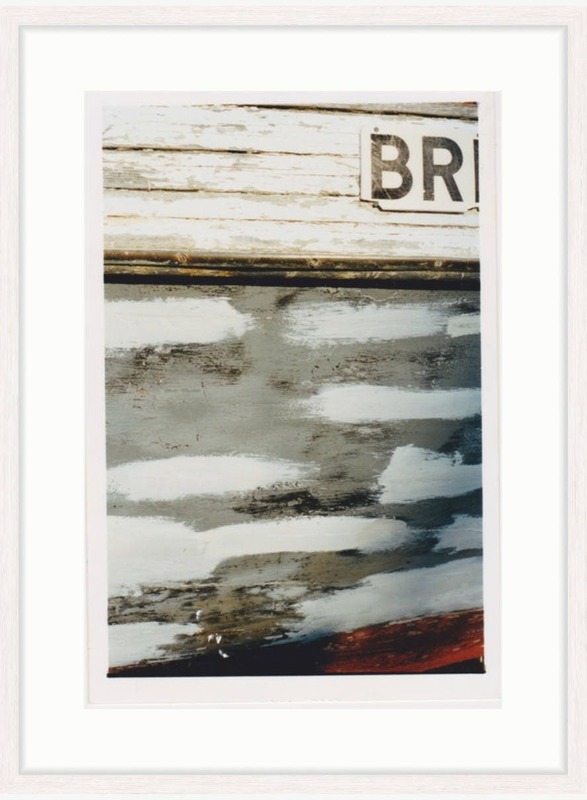 The scraped down hull of a fishing boat, revealing white and grays of the paint and the weathered wood framing of the ship. 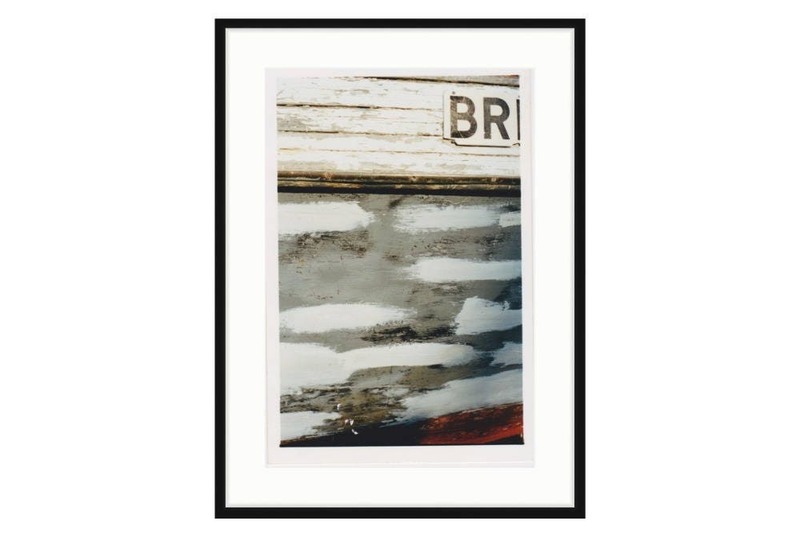 *** Available framed in three sizes and two frame options. *** I offer two frame options and three size options. Check the photos to see what the frames look like. 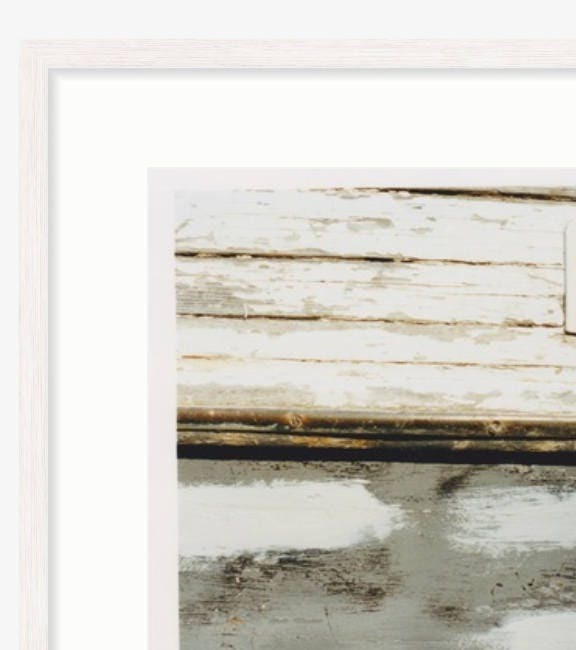 The frames are wood and not made with glass, but with fine acrylic, making them lighter, easier to hang, less likely to break, and gorgeous!